Artemix Provides Glitter Face Painting at Sinful Colors Event at Lightbox NYC! We had a wonderful time doing Celestial Glitter Face Paint on Sinfulcolors Professional ‘s guests at Lightbox ! This was an incredible event filled with color and sparkle! We wanted to match Sinful Color’s celestial vibe! Glitter Face Paint is a great choice to have during festivals! Spring is here and before you know it Summer will be too, so book your Glitter Body Art today! Call 888.ARTEMIX to book us for your next event! Artists Network Page - Expanding Into New Markets for 2019! We have officially launched our Partner Artists page on ArtemixBodyArt.com! We are so excited to be partnering up with some of the best Artists in NYC. If you are an artist and want to make money while doing what you love, we can help! You can market yourself through us and become part of a team of Professional Artists! We will create your own personal web page and listing on our Website artemix.com which includes a Bio, and Gallery, along with many other benefits that will help make gaining work much easier. We plan to go NATION WIDE! 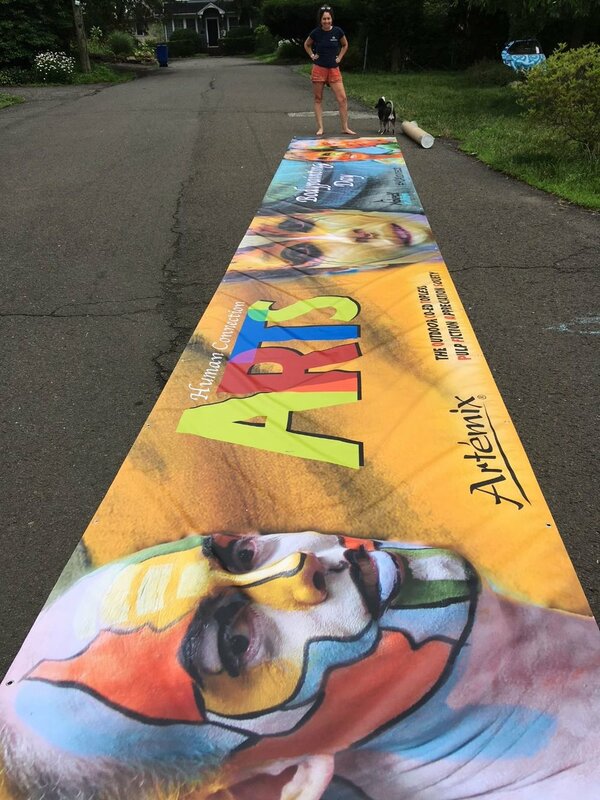 Our goal for this upcoming year is to expand Artemix, providing body art services not only to just New York, New Jersey and Connecticut, but to ALL of the other states! There are SO many opportunities for Artists out there, and we want to be the ones to bring all of them together! Artemix began in a small kiosk at a local mall in 1988. 20 years later we have risen to becoming New York City’s Premiere Art Entertainment Company. We want artists to succeed, and the best way to do that is to work together. To become a Partner Artist Contact Us ! We cannot wait to see what 2019 will bring! Happy New Year! Body Painting Added for 2019. We hope you had a wonderful 2018! To start the New Year off with a bang, we added Body Painting to our list of services! Body Painting is a brand new, trending activity for Private and Corporate Events! You can have a body artist attend your event and paint on a live model or even paint on guests! Q: Why have Body Art at your event? A: It is engaging and entertaining for everyone! Have all of your attendees feel like they are the life of the party by having a body artist at your event! Even though we are a hot commodity in the Mitzvah world, we don’t ONLY do Airbrush tattoos for Bar and Bat Mitzvahs! 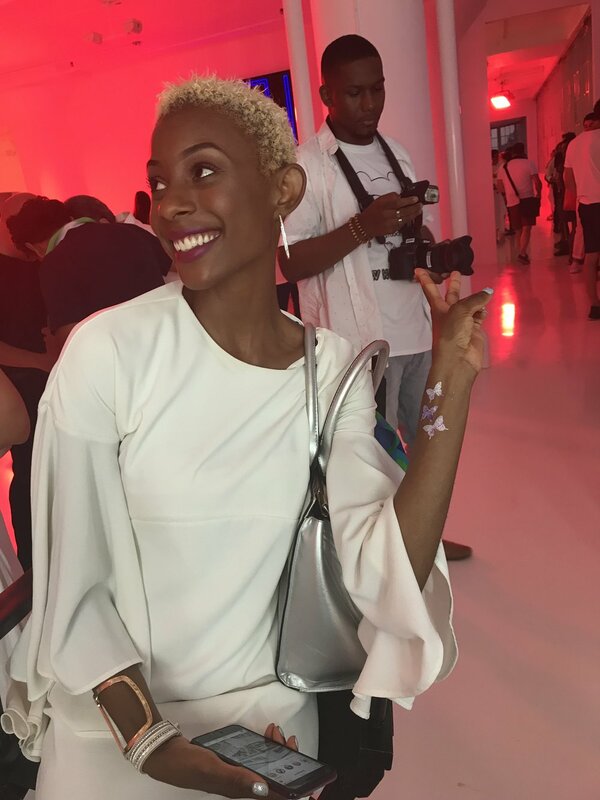 We also provide body art services for: Anniversaries, Brand Activations, Bridal and Baby Showers, Birthdays, Corporate Events, Engagement Parties , Experiential Marketing, Graduation Parties, Holiday Parties, Product Launches, Weddings and Special Occasions! If you would like to have a body artist attend your next event click the link below! NYC's Hottest, Most Trending Body Art Company! 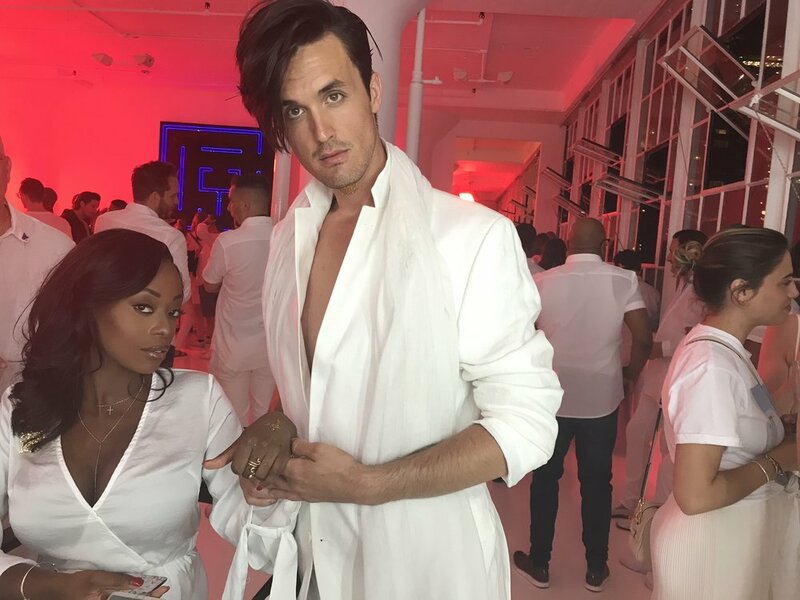 Temporary Tattoos, Face Painting, High Fashion Runway Makeup and More! We just thought we would remind you, we have SO many different Body Art options available for you! Ranging from cute Glitter Tattoos, To Sleek UV Blacklight Tattoos, to Bold Glitter Body Art, Artemix has the right service for your event! Call 888.ARTEMIX (278-3649) or email us at info@artemix.com to speak with a highly trained professional artist, today! In Body Art, the body is used as an artist’s medium. Our Premium Body Artists go above and beyond a traditional representation of art and portray their artistic statement in first person! Have the most talented Body Artist’s in New York City provide Live Art at your special event! Ranging from Visual Art to Freehand Airbrush Tattoos, Artemix offers top quality Body Artwork for all types of Social Events! Body Art Workshop - Success! See our experience. We are back and better than ever! This past Saturday, we hosted a Body Art Workshop, for those who were interested in Body Painting! It was SO much fun! Many incredibly talented artists came and painted on live models. We wanted to share some photos with you! If you are interested in having a body artist at your next event, call 888.ARTEMIX (278 3649) to speak with an Artist today! We have something delightful to share with you all! We are so happy and proud to announce that we were featured as a guest on the Facebook Live Show: Date Night with Connie & Chrissy ! Featured artist Visionary Face and Body Art, Jennifer Gaita Siciliano, artist was incredible as she painted a live model! Both Connie and Chrissy were so much fun to talk to, as Tina discussed on air how she started her business and what inspired her. Thank you for taking an interest in our DIY Glitter Tattoo Kits we just released as well! These Kits are available on Artemixbodyart.com ! You are able to apply temporary tattoos with everything you need using our DIY Temporary Tattoo Kits! Stay Tuned for more exciting events coming up soon! AMA Animal Rescue Mad Hatter Event Photo and Video Compilation! This past summer Artemix donated our body art services to the AMA Animal Rescue Association. It was truly a night to remember! See our Blog Post about this incredible event below! We received a beautiful thank you in our inbox this week from the AMA Animal Rescue Association, included with a professional, animated thank you card! The Artemix Team wanted to share with you this beautiful E-card presented to us. We are so honored to be able to give back to communities and organizations, fighting in our own way for causes that are important to us. To book our body art for your fundraiser, charity, or benefit, dial 888ARTEMIX . This past Sunday, Artemix was so happy to be a part of the Make a Wish Foundation’s Walk For Wishes at Eisenhower Park! 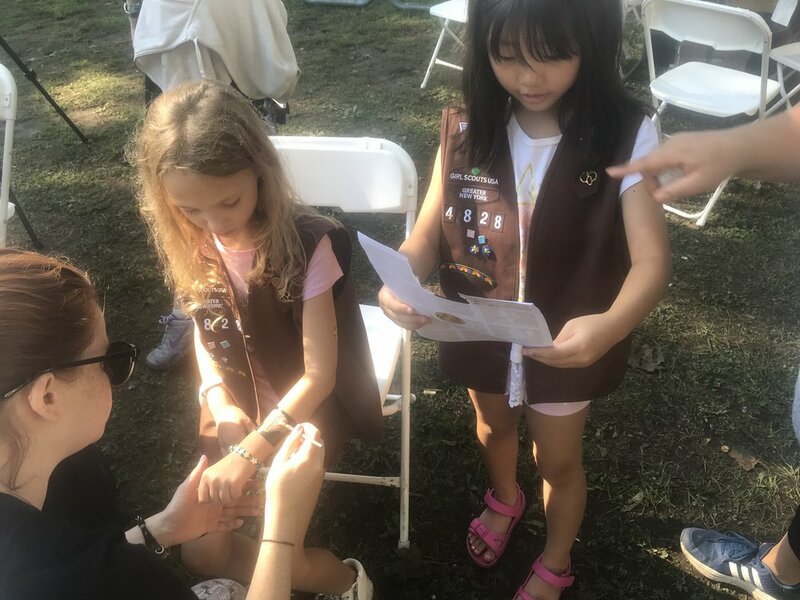 It was an honor to give out Custom Logo temporary tattoos to everyone who participated in this motivational, meaningful event. Along with the Make A Wish Foundation’s Custom Logo Tattoo, we offered Ink It and Glitter Tattoos, and even Freehand Tattoos! Participants of the Walk for Wishes were able to choose their unique tattoo they liked best, and sport it during the walk. If you are having a Charity, Fundraiser or Benefit, call 888ARTEMIX (278-3649) to speak with an artist today and order your very own Custom Logo Tattoo! Artemix was honored to be a part of Human Connection Art’s 9/11 Memorial Chalk Tribute. It was raining on and off on this solemn day. Artists from all walks of life gathered together to share their artwork on the ground of Washington Square Park. The city seemed to have a feeling of reverence as people curiously watched the artists drawing with chalk. Tina worked on her piece the whole day, and following the event we were interviewed by HCA’s blogger about the concept of our artwork. We will never forget what happened on 9/11. We will always spread love and fight hate with art. Custom Airbrush Favors at Hamptons Party! We're so glad you've been able to stay tuned with all of our current events this Summer! We wanted to tell you all about the awesome party we were able to do this past weekend. Artemix provided Custom Sweatshirt, Sweatpants, and T-shirt Airbrush Favors at a wonderful party in the Hamptons! Even though it was raining, we were able to still put smiles on these great children's faces! The Summer is not over yet, and what better way to end it off with a bang than having your own personal custom airbrushed items! To have your own Custom Airbrush Favors at your next event, click here or call 888.ARTEMIX and speak to an Artist today! 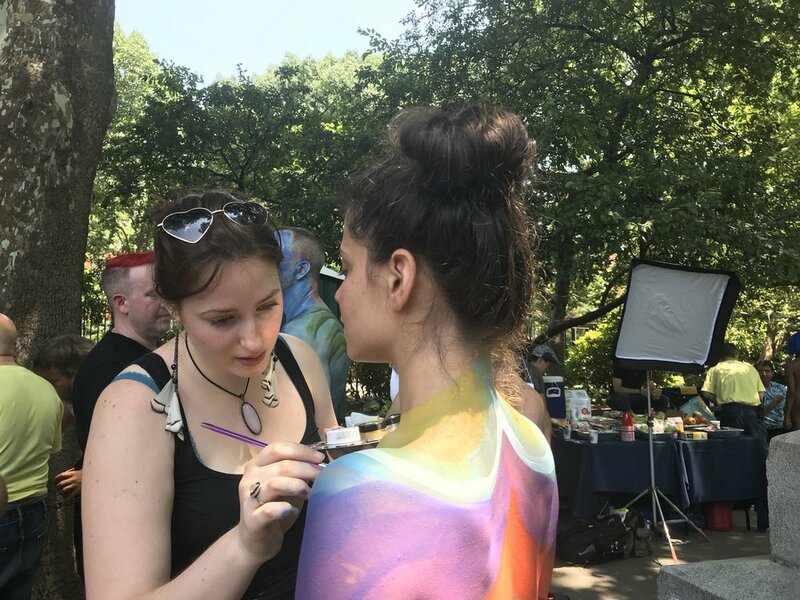 This past weekend Human Connection Arts held a "Makeup Day" for anyone who missed National Body Painting Day in Washington Square Park. Artemix cross promoted with Human Connection Arts by giving out Magnetic Palettes to body artists painting naked models, and "I Heart NY" Temporary Tattoos! Even though it first began down pouring, rain couldn't keep us away! By the time artist Andy Golub began painting with his team, the clouds had parted and we were able to enjoy the day! Heads turned in Times Square as onlookers were able to see live, interactive art. We were so happy to be a part of this Art Movement! Tina even interacted with The Naked Cowboy! Overall, Makeup Day was yet another wonderful experience. Upcoming events are popping up left and right! We are preparing to expand nationally! If you are an artist and would like to become part of our bold, influential team Click Here to apply! 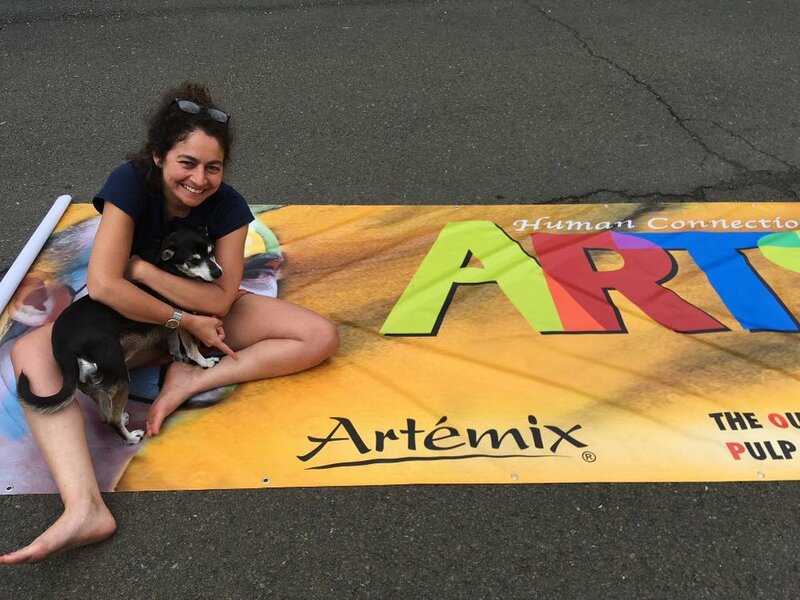 Artemix Supports Human Connection Arts, a non-profit Organization dedicated in combining self love with art. As many of you know NYC Body Painting Day was on July 14th. Human Connection Arts is having a "Makeup Day" in Times Square on August 11th for people who were not able to attend Body Painting Day. Artemix will be giving out Magnetic Palettes, Magnetic Containers and Magnetic Stickers for artists to use! You Can Not Make This Up! We just added a new tab to our website: Upcoming Events , so keep an eye out for some more fun artistic events on our feed! Email us at Info@artemix.com to become a part of these monumental events! This weekend Artemix provided Glitter Tattoos and Airbrush Tattoos at a private residence in Southhampton Long Island. We were able to overlook a beautiful sea shore as adults danced the night away while their lovely children were happy to have their arms and legs get tatted and sparkled up! We provide body art services for people of all ages and locations! And many more exclusive events! Looking forward to speaking soon! 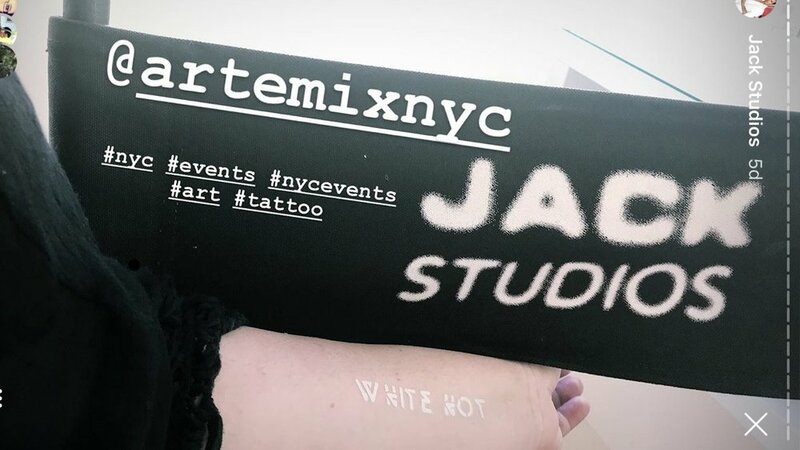 This past weekend Artemix worked at Jack Studios! 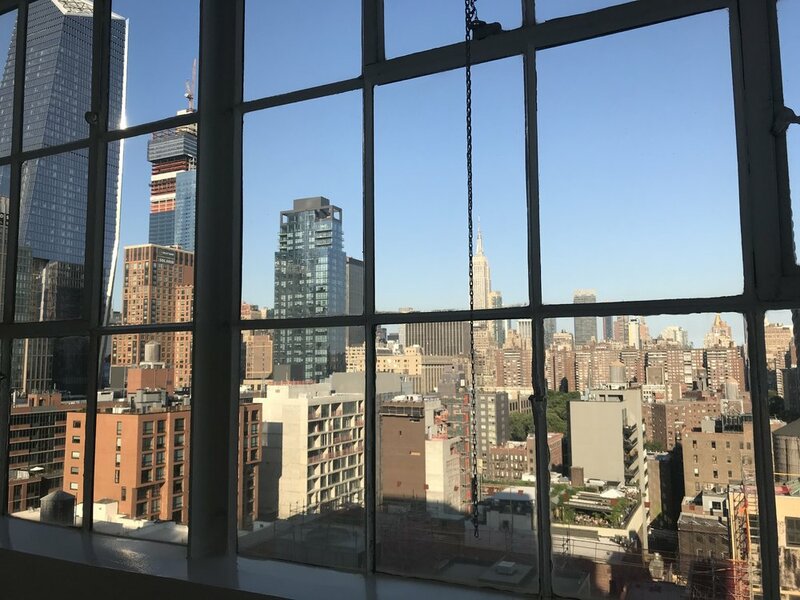 This is a content creation studio center located in Manhattan, where many modeling photo shoots take place. 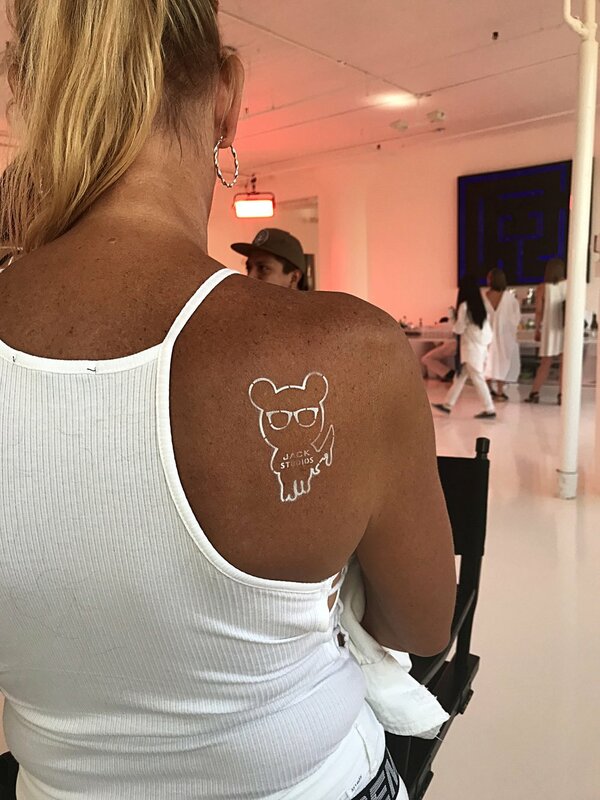 We provided professional Custom Logo Airbrush Tattoos for the chic NYC Studio’s “White Hot” party! 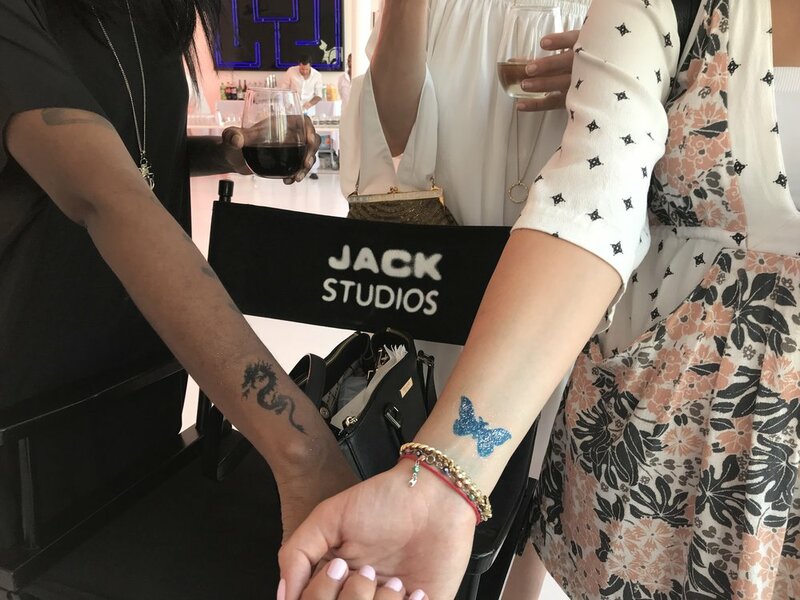 We had a magical evening overlooking the skyline watching the sun set as we applied various kinds of airbrush and glitter tattoos on the White Hot party’s guests. If you are looking for a space for Content Creation, Jack Studios is a great space for Models, Photographers, and Artist’s alike! Artemix specializes in Brand Activation through Body Art. 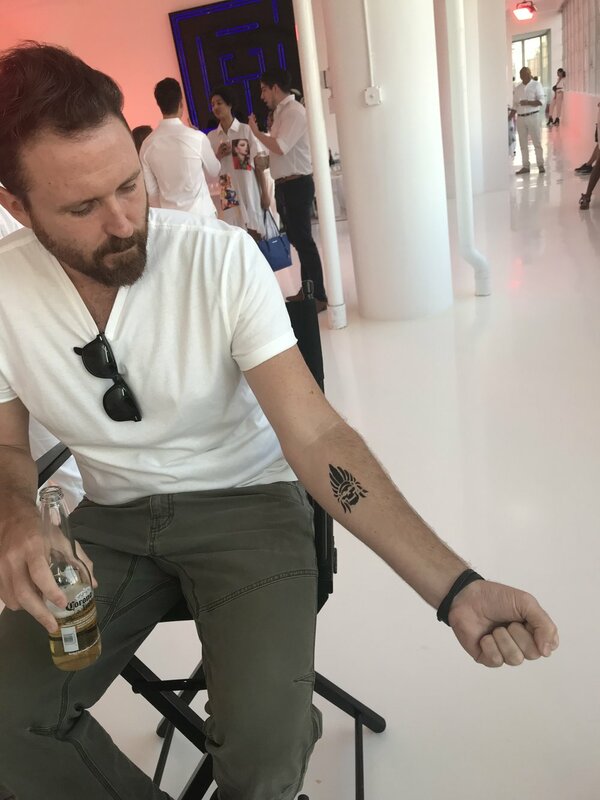 Custom Logo Tattoos are great for marketing your brand days after your event. Send us an image of the logo of your choice, and we will work with an artist to create the perfect tattoo for your Brand Awareness event! 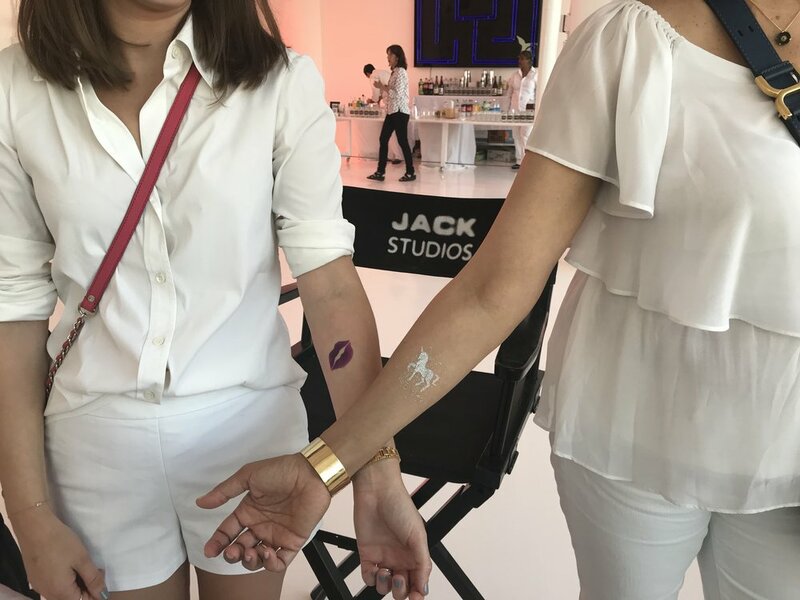 Custom Logo Tattoos are perfect for store promotions, product launches, company parties, trade shows pop up parties and many more promotional events! To inquire about Custom Logo Tattoos for your next event, click above or call 888.ARTEMIX to speak with an artist today! 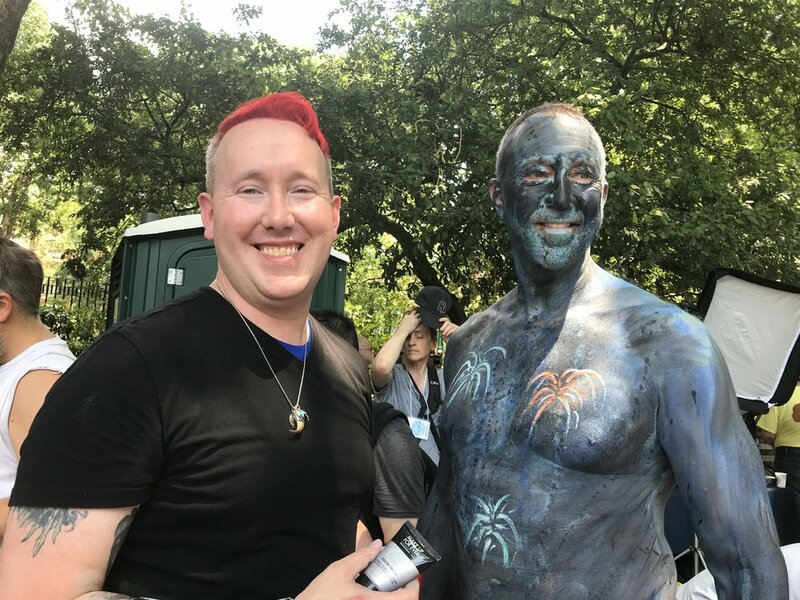 National Body Painting Day NYC: Singing Choir- "Imagine"
This past Saturday on July 14th 2018, artist Andy Golub with organization Human Connection Arts hosted National Body Painting Day. Artemix was honored to be a sponsor of this influential Art Movement. It was a long, hot day at Washington Square Park, New York City. A sea of surprised, intrigued, and eager, faces were seen watching artists paint naked bodies underneath big blue tents. Swirls of colors were slowly beginning to cover every single part of their model's bodies. The snapping of cameras could be heard louder than the on-looker's hushed voices. Among the heavy gazes, there was also much commotion circling around the tents, like live performers twirling Hula Hoops, and The Artemix Palette Sponsor Booth, where many questions were being asked about the unique magnetic palette the artists were using to paint their models. This was a monumental day for Human Connection Arts, as well as Art itself. Artemix Sponsored Magnetic Palettes so the incredibly talented artists could create with ease during this huge event. Our founder Tina, was in Greece supporting her business and Human Connection Arts by painting herself, and fiercely posing in front of an urban mural in Greece. She spent the day looking for the perfect backdrop to show her support and her art, especially for National Body Painting Day NYC. Prior to the event, Tina spent many long hours planning this long awaited day with Andy and his wife Carol. Following the body painting at the event, the completely painted models went to the Arch where a grand piano was stationed in the center. The models and artists gathered around the piano as one model jumped on top of the piano. Lyrics to the song Imagine by famous John Lennon were printed on sheets of paper, and handed out to the participants of National Body Painting Day. Suddenly, a pianist emerged, and began to play the intro to the beautiful song. The circle of models and artists began to sing of peace, love and acceptance. Tears welled up in my eyes as I sang along with such an incredible group of human beings. This was truly a beautiful experience to be a part of. Following the song was a march around Greenwich Village to proudly show people our art. At the end of the march, there was a big double decker bus waiting for all of us to board. We drove around Manhattan as the models were standing on the top level of the bus, waving and smiling to pedestrians. The reactions of these people were amazing for so many different reasons! From people clapping with joy, to people covering their mouths in shock, this Artistic Movement certainly seemed to leave its mark on people. After the bus ride came the After Party! Project Cozy located in Little Italy was the location for yet another amazing experience. Food, drink, music, speeches, and an Art Auction were being held at this space! Andy Golub thanked everyone who participated, and another sponsor made a speech as well. This man said something that meat a lot to me and I believe to the purpose of Human Connection Arts. He said "We are so happy to be a part of an organization which allows people to enjoy art at its most basic form." This was the most impactful part of the day for me. Art at its most basic form. Painting people's bodies while connecting with people. This event was an experience of a lifetime. 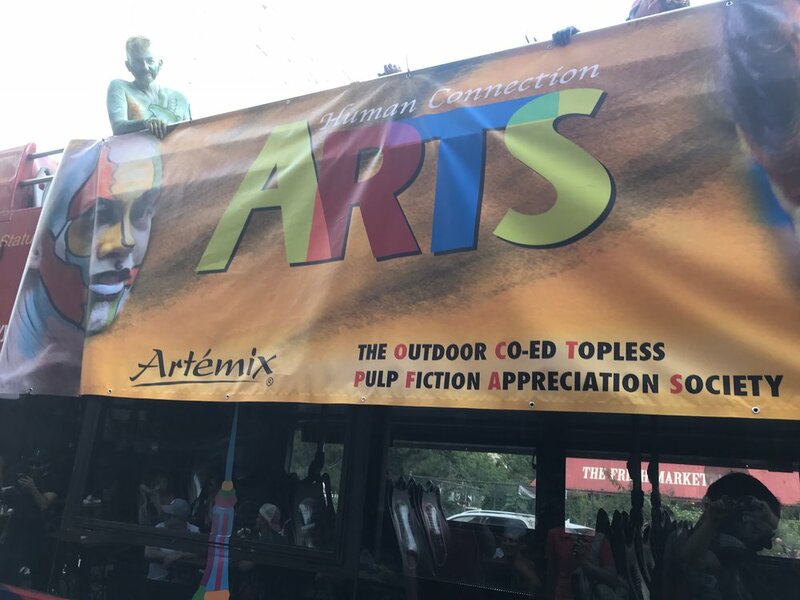 Thank you Human Connection Arts for letting Artemix sponsor you. Artemix has some SUPER exciting news to announce! We are sponsoring NYC Body Painting Day! We will be supplying Artemix Palettes to the Body Painters who will be painting their beautiful models. Andy Golub, the Founder and Head Artist at Human Connection Arts has selected well known, influential artists to participate in this historic movement. From Makeup to Full Body Painting! This is the FIRST time The Artemix Palette will be debuting for FULL Body Painting! Body Painting is just another one of the many uses for this limitless tool. Everyone at Artemix is so excited to see The Artemix Palette in the hands of these talented artists creating beautiful masterpieces, all while promoting self love. 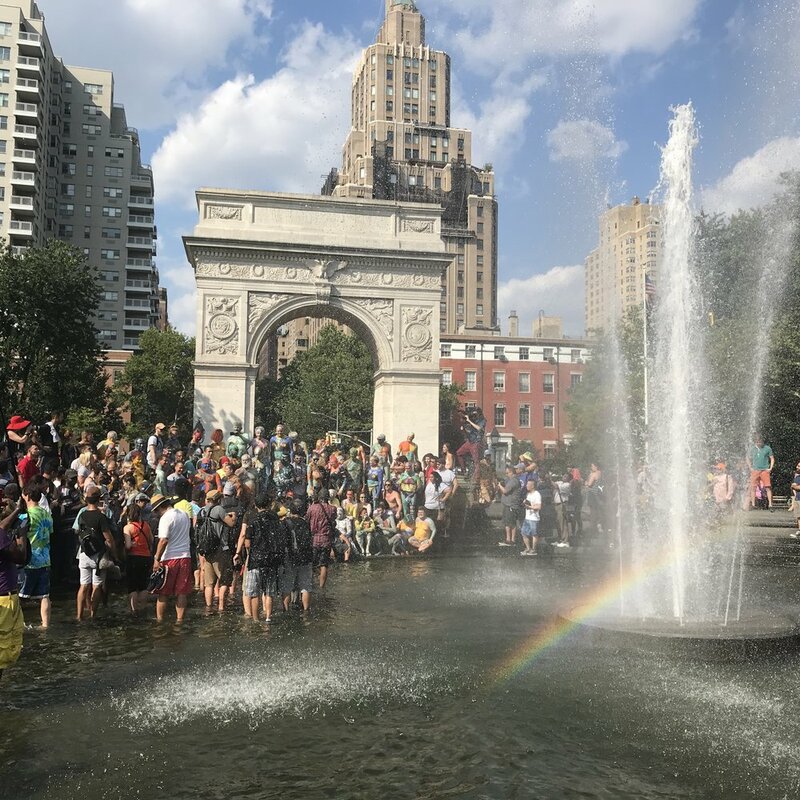 Anyone who loves art, loves life, and loves to love should head over to Washington Square Park this Saturday and see Human Connection Arts in action. This is a HUGE milestone for Artemix, and it is so wonderful that this is happening in celebration of our 20 years in business! 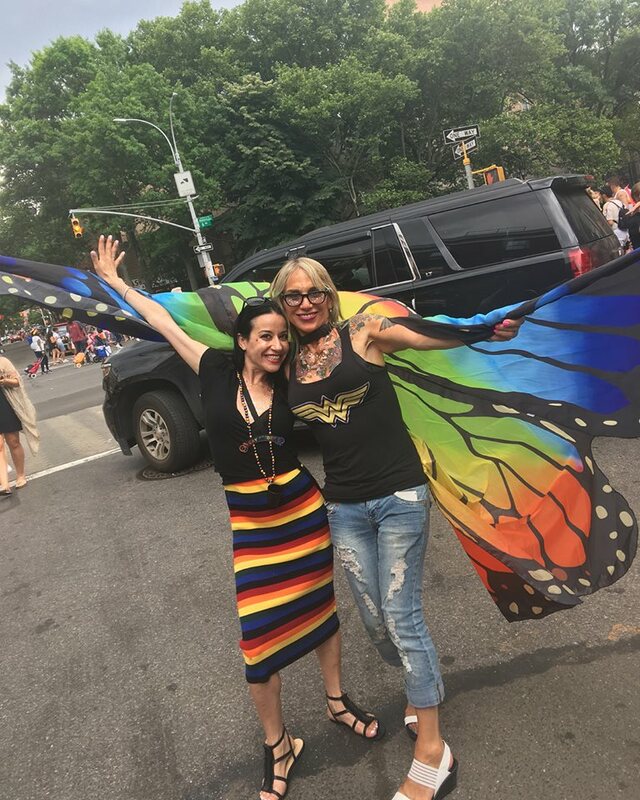 Check out the links below to read more about NYC Body Painting Day and how this Art Movement has made its mark in history. Have Your Very Own Glitter Station At Your Event! There seems to be a glitter takeover trending. Artemix is jumping on board! We have just launched our Glitter Station! Add some serious sparkle to your event by having an artist apply a chunky Glitter Highlighter, delicate Glitter Eyeshadow, Glitter Body Gel, or even bold Glitter Lips! The choices are limitless when booking our exclusive Glitter Station! Children and Adults alike will adore getting glittered! All of our glitter is cosmetic grade glitter, and safe for children. Email us at Info@artemix.com or call 888.ARTEMIX (278-3649) to speak with an artist today! 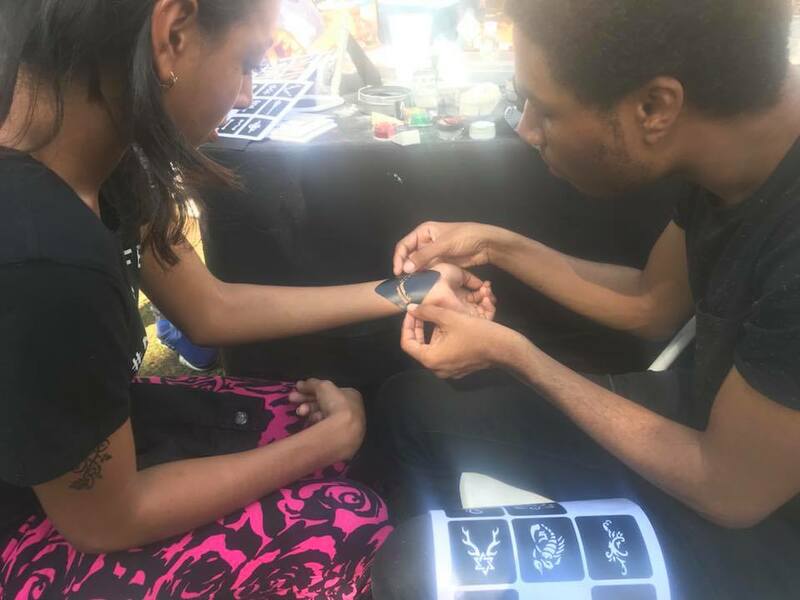 This past weekend, Artemix showed their presence at NYC PRIDE, giving out glitter highlighter gel, and glitter tattoos to all the amazing people they met along the way. The stories we gathered this past Sunday were unbelievably special. People from all walks of life gathered to celebrate equal love. Once we began to give out glitter to beautiful souls, sparks started flying as we glided through the parade. Glitter really seemed to brighten up people's day, and the more we did glitter tattoos the more connections we made! 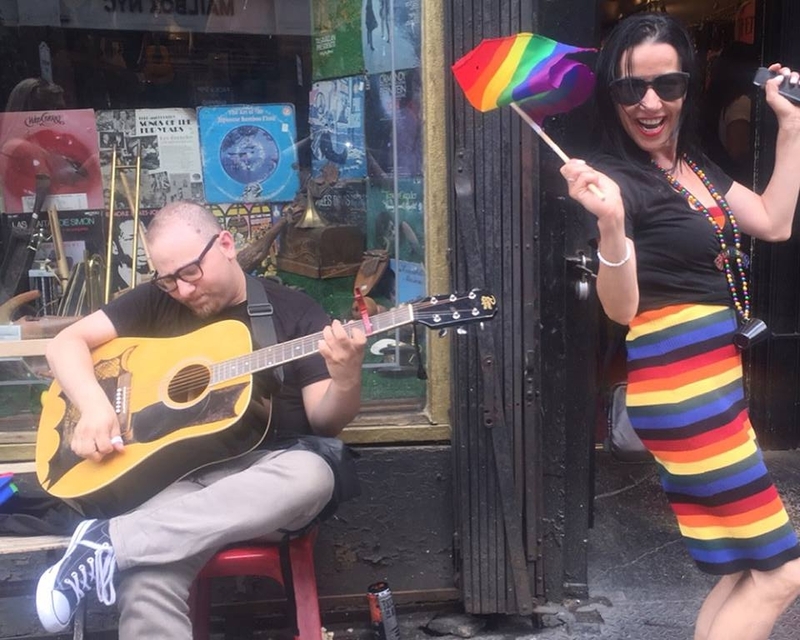 Love is Love and to celebrate this we are going to be doing many more New York City equality based events! Stay Tuned for more Body Art bringing people together!